HBO has announced that it plans to offer a streaming service without a cable subscription sometime in 2015. 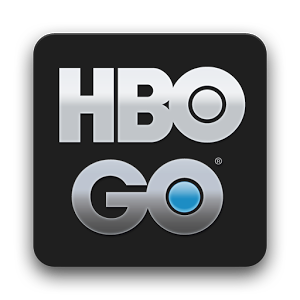 As way of background, to date, HBO's streaming platform, HBO GO, has only been available as "added value" to an HBO-on-cable-television subscription. (Cable, for these purposes, includes DirecTV, Dish, Verizon FiOS and AT&T U-Verse -- anything the FCC would call an MVPD). For those who doubted that such a move was inevitable, you were wrong. For those who think this changes everything, I suspect you are also wrong. Here's why: I strongly suspect HBO will be marketing the streaming service, let's call it HBO GO for these purposes (although it may be a "new" service with a different name and content) in conjunction with its distribution partners -- in this case, the ISPs who provide the nation's high speed home Internet access. And those companies just happen to all be distributors of HBO, the cable channel, on their multichannel television platforms. After all, many "cable" operators have more broadband customers than video customers. From the named providers on Leichtman Research's 2Q14 list of top broadband ISPs, exactly two of them, Windstream and Fairpoint, do not offer (yet) their own facilities-based multichannel television service (and both of them do on a non-facilities-basis via partnerships with Dish and DirecTV. respectively). Much like the HBO with a cheaper smaller cable TV service offered last year (see GigaOm's article from December 2013), the customer will still have a relationship with a distributor. For the distributor, HBO GO represents an "upsell opportunity", something they don't currently have with Netflix, which sells its service direct to consumers. To actually go direct to consumers would risk HBO's relationship with the multichannel television providers, who, it has often pointed out to the financial community, allow it to be much, much more profitable than Netflix. 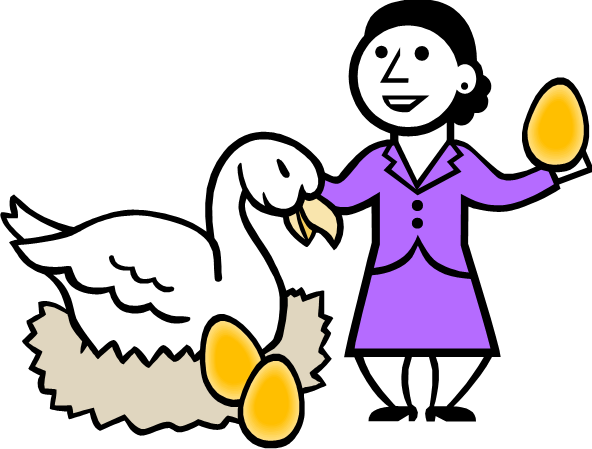 No need to kill that egg-laying goose. HBO is here depicted as a woman wearing a purple suit. The MVPDs are represented by the fowl. Perhaps HBO will offer HBO GO via ISPs that are not also multichannel television distributors, but, if HBO does not, they aren't giving up very much of the potential market. And HBO can always change its mind about that later. The big losers in this are the multichannel video providers that are not ISPs: DirecTV and Dish Network. Update (17 October 2014): More support for my view: It looks like the streaming-only HBO service may cost $15 per month, about the same as it costs as an add-on to basic cable.